This modern frame has a simple but stylish contemporary design. 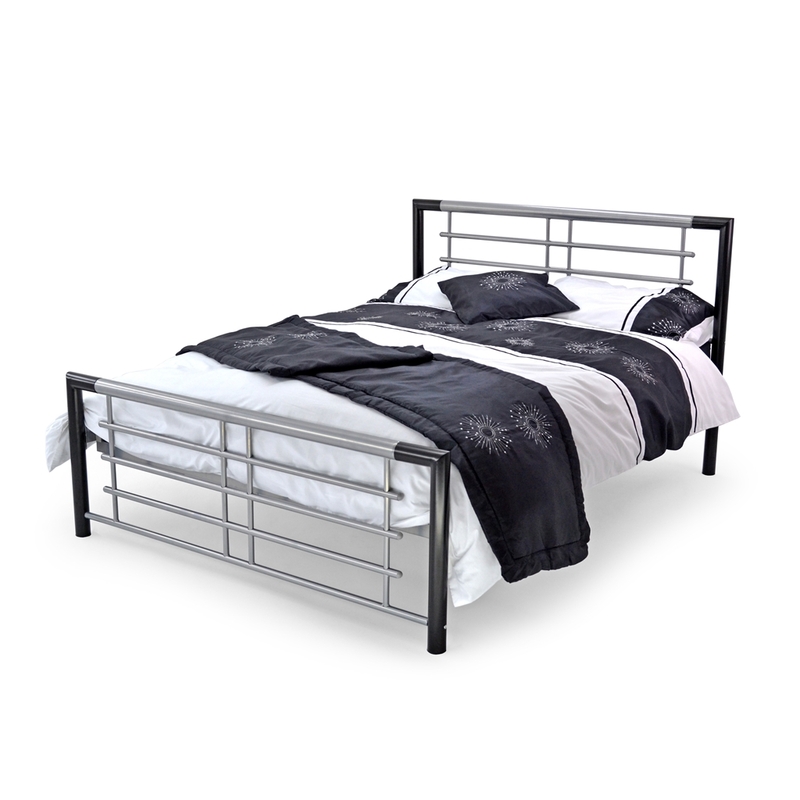 It has a black and silver finished frame making it a perfect fit for modern styled bedrooms. 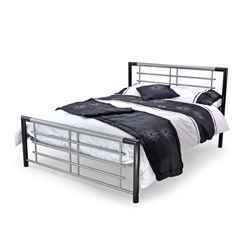 It has contract specification strength so requires no centre support legs and has sprung wooden slats for a comfortable great nights sleep. This design is also available in single, small double, and double.